with cocktail tomatoes. 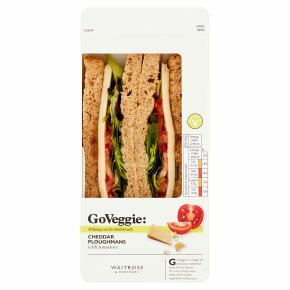 Mature Cheddar, juicy cocktail tomatoes and mixed leaves, with tangy pickle, on malted bread. Made with Cheddar that's matured for at least nine months, to bring out the flavour.